One of the best places to place a security camera is at your doorbell. We offer doorbell cameras that can effectively monitor the area around your door. These devices can also alert you whenever someone rings your doorbell so that you can see whoever is at your door. Buy doorbell cameras right here. The front door is an important area to monitor at any house. This is the first place a visitor will likely go to when they arrive at your house. It is also where a postal worker will most likely place any packages or other deliveries if you are not home to receive them. Looking out from your front door is also great for seeing any activity that occurs in front of your house. All of this makes a doorbell camera a great addition to any home security setup. These truly are fantastic devices. 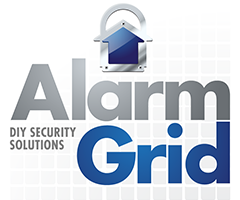 The doorbell cameras offered by Alarm Grid all provide tremendous features that make them an outstanding purchase for any household. The excitement starts as soon as the doorbell is pressed. Once this happens, the camera will start recording whoever is at the door, tracking their every movement. Many of these devices also include a built-in motion sensor that will tell the camera to activate even if the doorbell isn’t actually pressed. A user will receive an alert on their phone whenever the doorbell camera activates. Then can then initiate live two-way video and audio communication with whoever is at their door. This is an easy way to quickly greet your friend who came to visit. It is also good for telling a package bandit to put down your belonging and to get off your property. Whether it’s a good or bad visitor, your trusty doorbell cam is there! Even if you aren’t around to respond immediately, you will still receive the notification that someone was at your door for whatever reason. Plus, you will be able to view the old recording of someone lurking around your house later. This is done using an interactive service, such as Total Connect or Alarm.com. Both of these services feature mobile apps that can serve as the primary controller for a doorbell camera. Additionally, most doorbell cameras offer their own mobile apps that can be used for a similar purpose. This allows you to choose whichever mobile app you feel works the best. Please note that many doorbell cameras are specifically designed for use with a certain interactive service. Make sure that you check product compatibility before making your purchase. This can prevent further problems from occurring on the device later. Installing a doorbell camera is surprisingly easy for most end users. These devices are placed at the site of the previous doorbell, and they often feature a mounting plate for easy installation. There is also usually a mobile app to walk the user through the entire setup process. Simply remove the old doorbell, and wire up the doorbell camera to power it on. Then use the mobile app to connect the doorbell camera to a WIFI network. Finally, use the mobile app to complete the remainder of the setup process. From there, many doorbell cameras will allow you to choose certain customization choices for the device. This can include setting the LED display light on the device to whatever color you want. Additionally, most doorbell cameras feature a sleek and modern design that allows them to fit in seamlessly with the rest of your house. From now on, it will be exciting whenever someone comes to visit!